Come See the Latest in CNC Technology for Small Lot Machining! 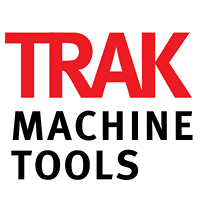 Myer Precision & TRAK Machine Tools, invites you to an exclusive look at the amazing new ProtoTRAK RX control at Myer Precision's Tampa, FL showroom. Please be advised that space is limited so don't delay if you wish to attend. Note: By attending this event, you hereby authorize Southwestern Industries and/or Myer Precision to publish photographs taken of you at the event for use in Southwestern Industries'/Myer Precision's company publications including those that are printed, published online, or created in video form. You further acknowledge that you will not receive financial compensation of any type associated with the taking or publication of the aforementioned photographs. Finally, you release Southwestern Industries, its employees, and any third parties involved in the creation or publication of marketing materials from liability for any claims by you or any third party in connection with your participation at this event.